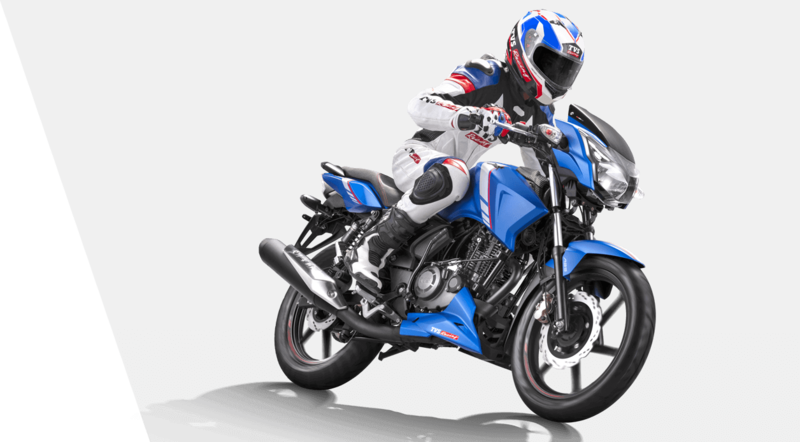 Control has never been this exhilarating, the Apache RTR 160 now comes equipped with technology to slice up the track. 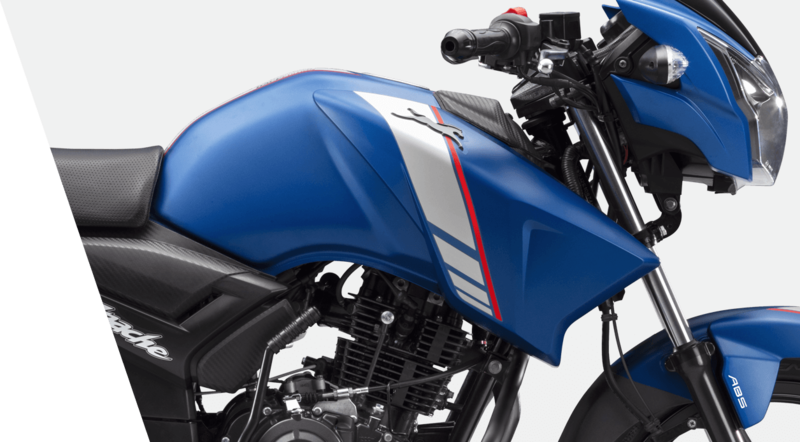 The Single Channel Super-Moto ABS Unit had been developed and tested on the track. 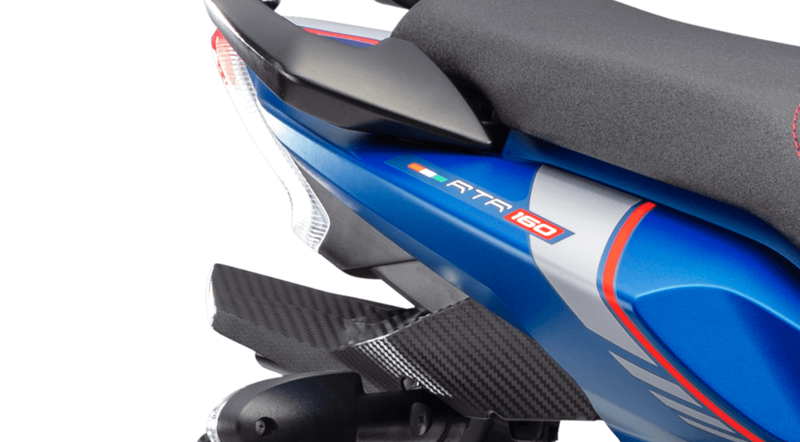 The system provides the ultimate braking control while allowing sharp feedback. 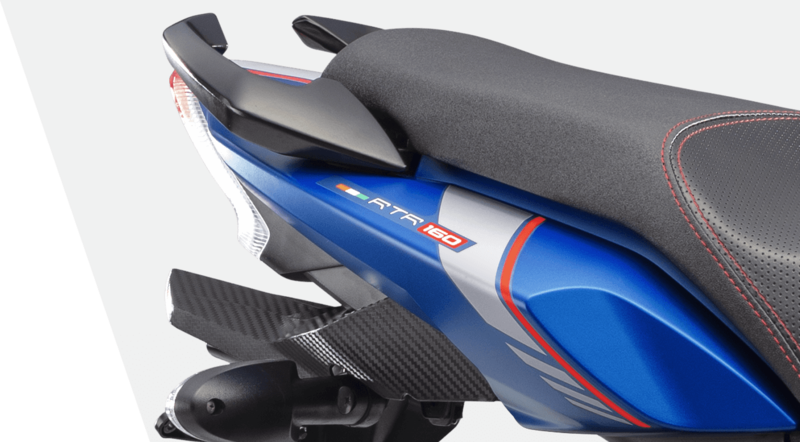 The precise system to keep your braking and cornering, razor-sharp. Experience scary pickup and blistering torque from the RTR over square race inspired engine. 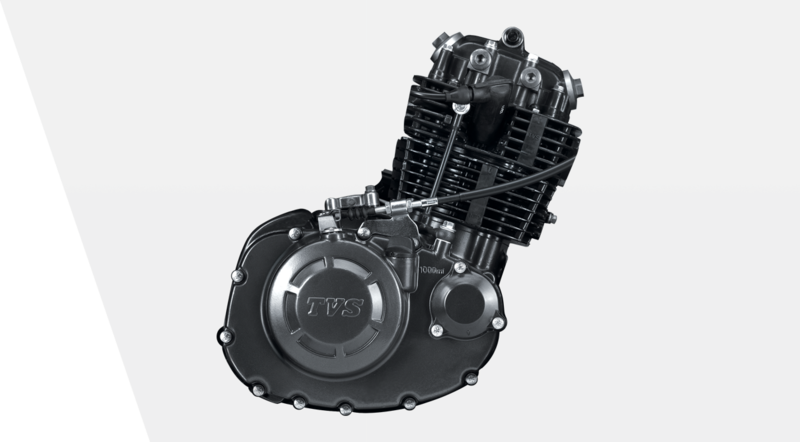 The short stroke set up ensures both faster pick up and top end revving capability for higher speeds. 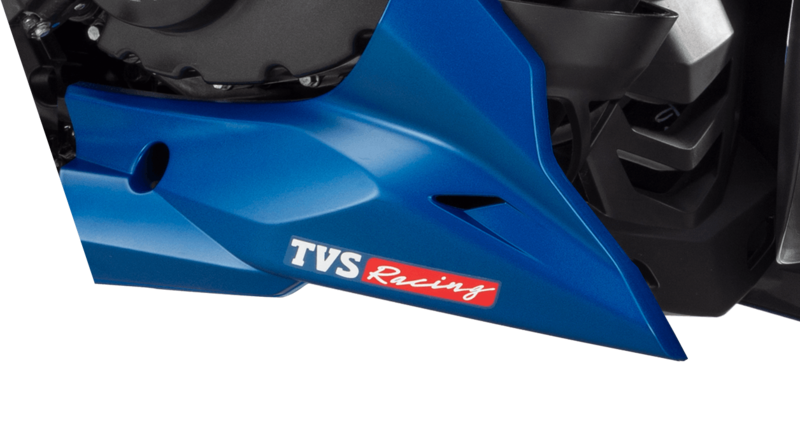 Synchronized stiff chassis developed in collaboration with TVS Racing ensures total control at high speeds and tight corners. 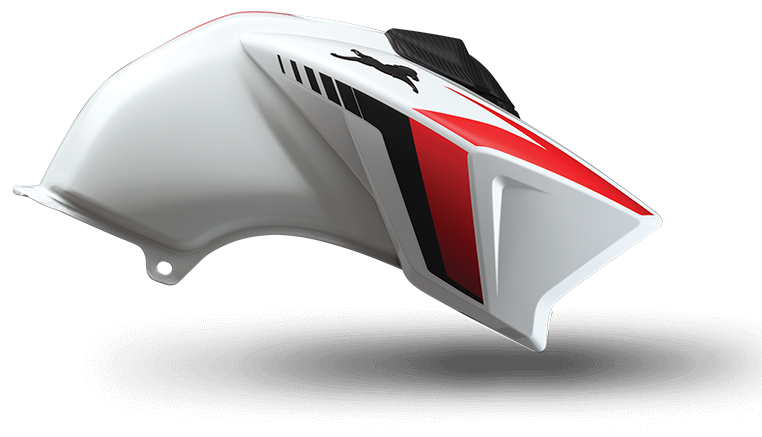 It ensures stiffness for straight line performance and flex for aggressive cornering proposition. 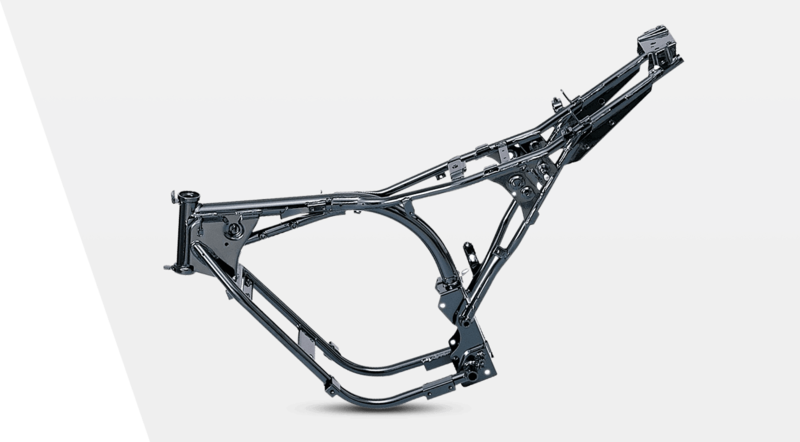 Agility is key while being aggressive, and our suspensions are perfect at giving you that swing motion. 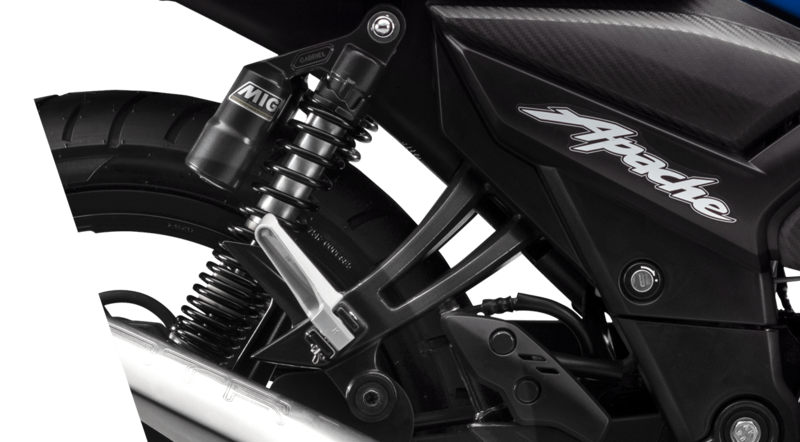 The front suspension is telescopic oil damped and the rear suspension is monotube inverted gas filled 5 step adjustable shocks with rectangular swing arm. 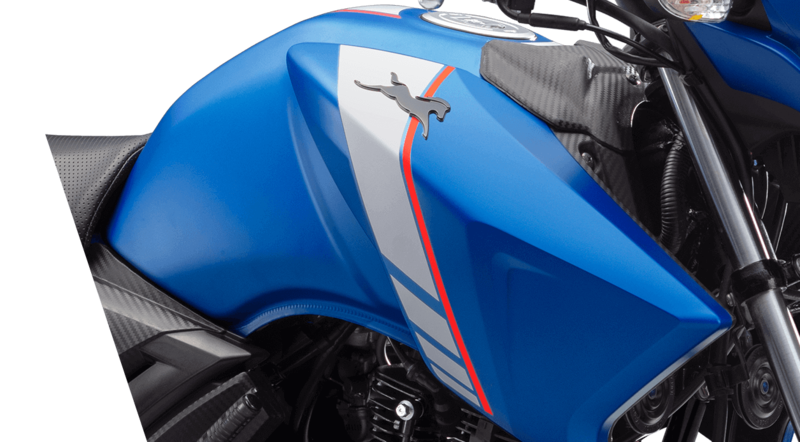 With adjustable split clip on handle bars, adaptable brake pedal and gear levers, the rider makes the best of the incredible riding experience. 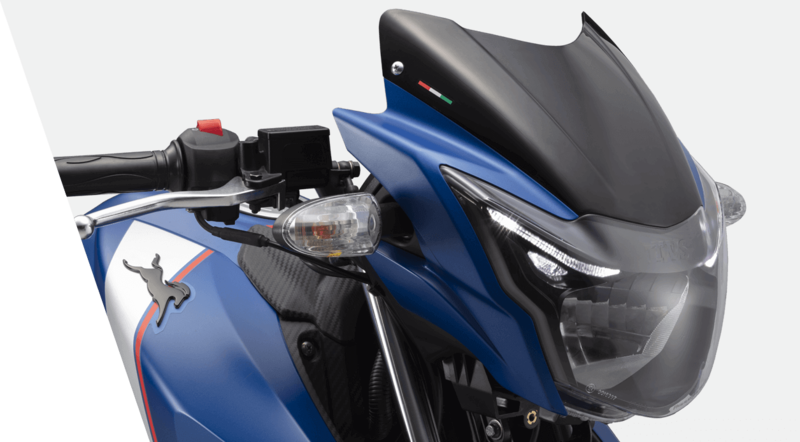 The LED light guide in the headlamp panel coalesces with the pilot lamps and produces an intense, raw, animalistic gaze, being Apache’s signature. 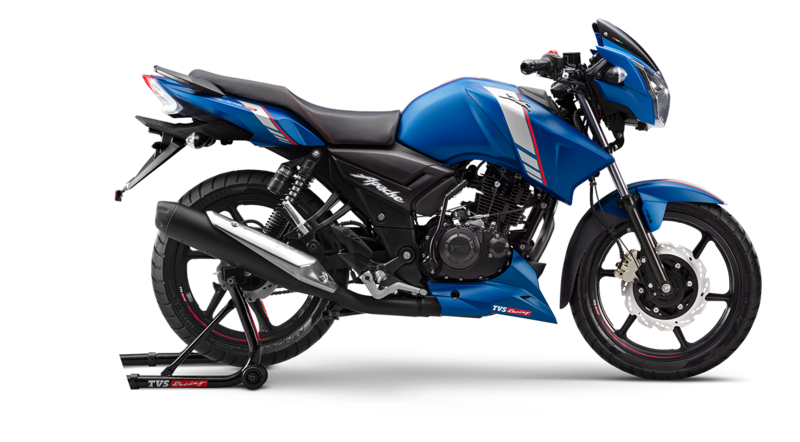 This throws a far reaching beam on the road and makes for a very comfortable night-riding experience. Perpetual motion styling. 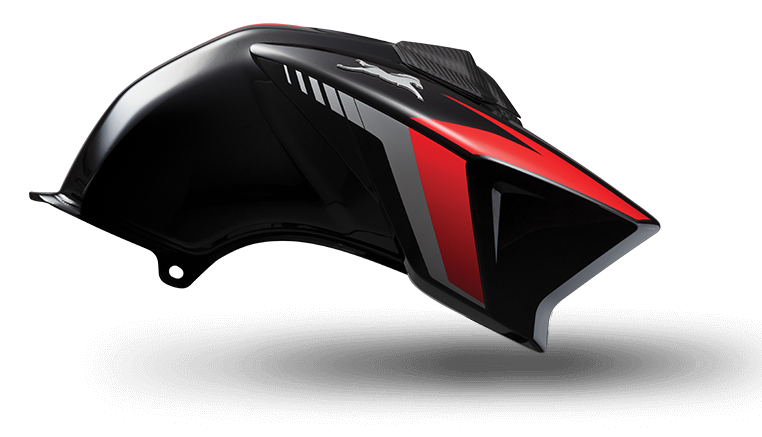 Aerodynamic razored design. 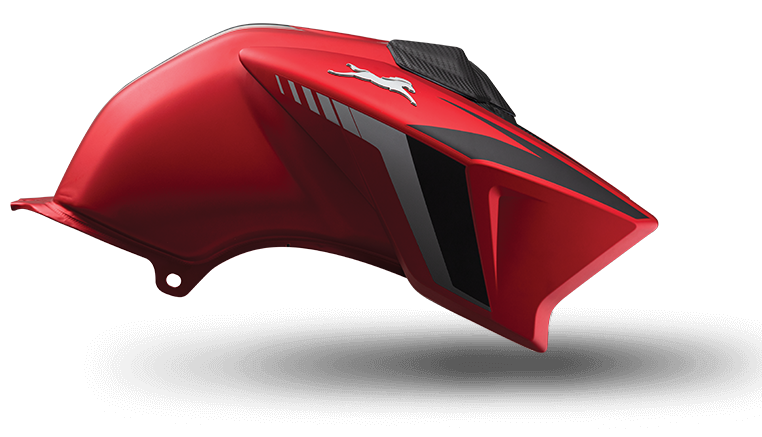 The sleek and aggressive tail lamps are dotted with an array of LED lights, which makes for a meaner and fiery racing icon. A signature visual impression that is instantly recogonisable. 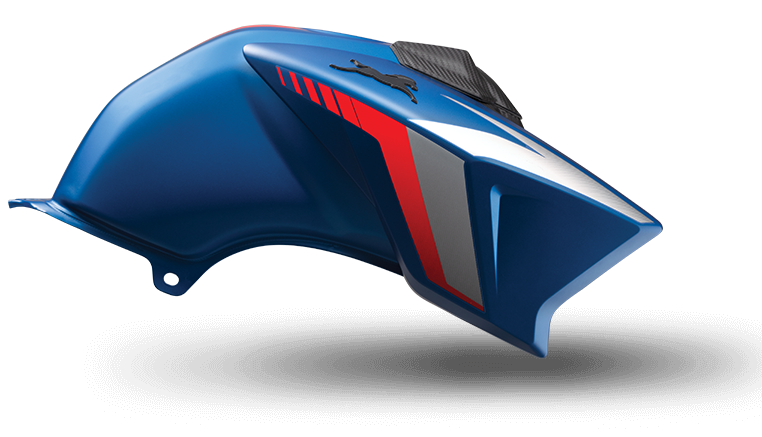 Intelligent aerodynamics of the tank cowl aids performance and reduces engine heat by 10°C. New Nocturnal-Blue backlit display. Countdown-on-ignition speedometer. Race-inspired carbon fibre cues. The beast breathes from within. 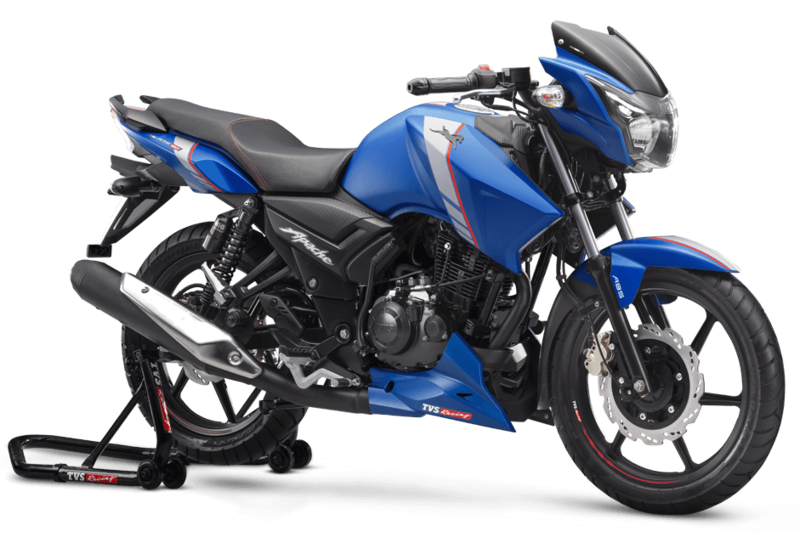 The tank scoops enable a free inflow and outflow of air which heats and cools the powerful engine simultaneously, making it for an impeccable ride. Radical race design. Lighter, chiselled tail. 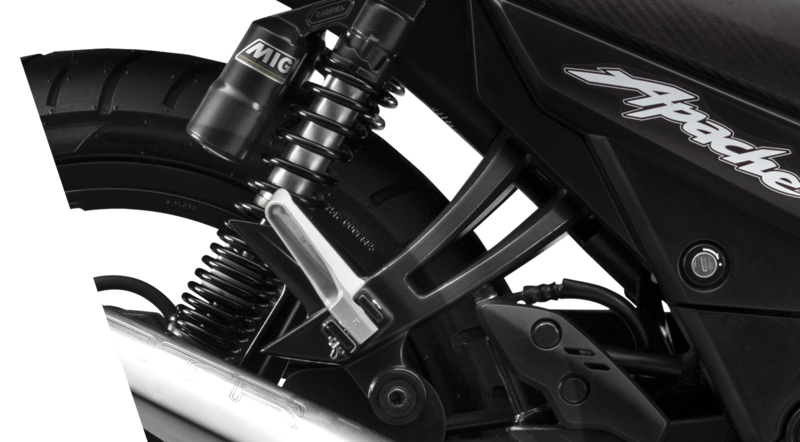 MIG - monotube inverted gas - filled 5 step adjustable shocks provide unrelenting strength without compromising performance. 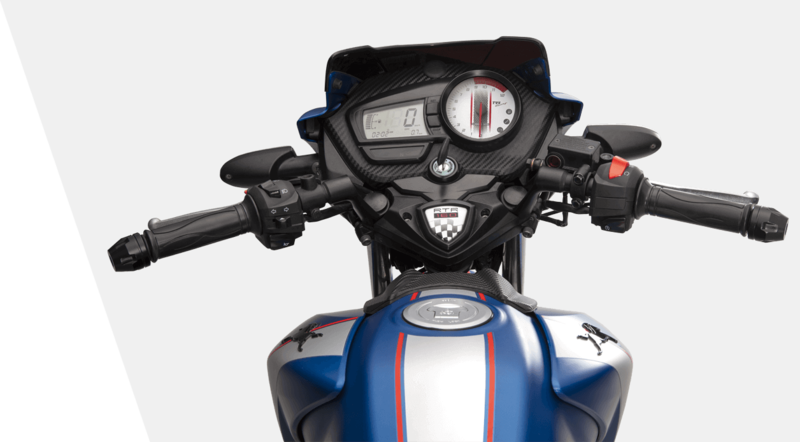 The Single Channel Super-Moto ABS Unit makes the machine notches up in safety with enhanced braking control. 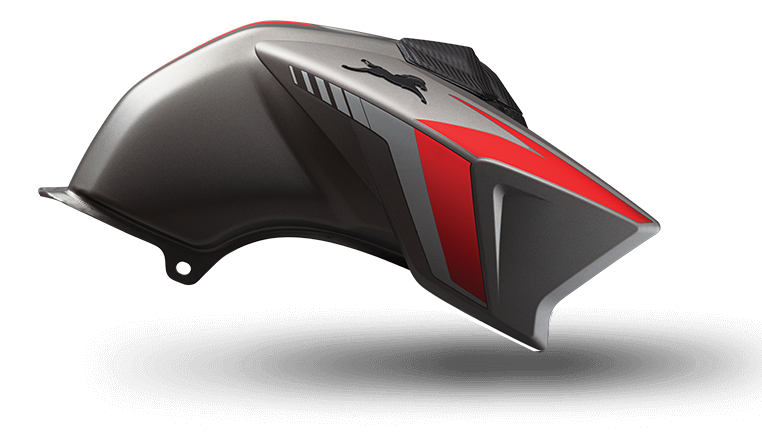 Developed and tested on the track, the system provides the ultimate braking control while allowing sharp feedback. 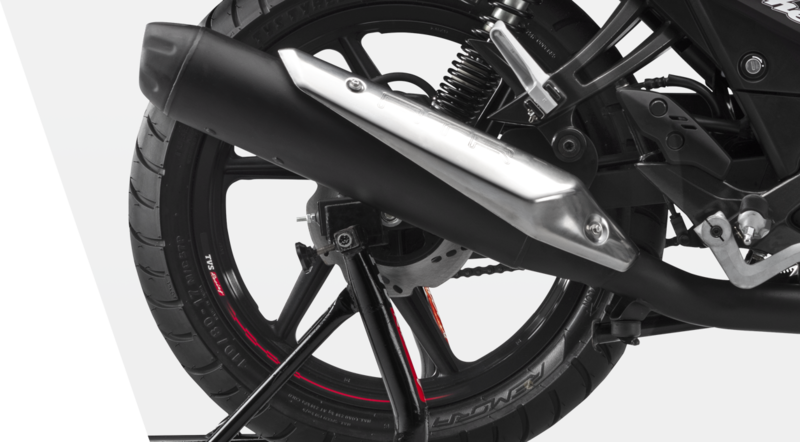 The precise system to keep your braking and cornering, razor-sharp. 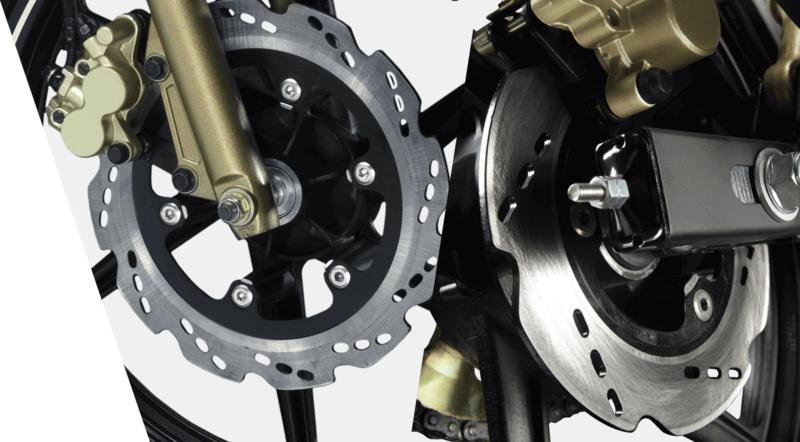 Equipped with a 270mm disc on the front and 200mm at the rear, get complete control of the bike. 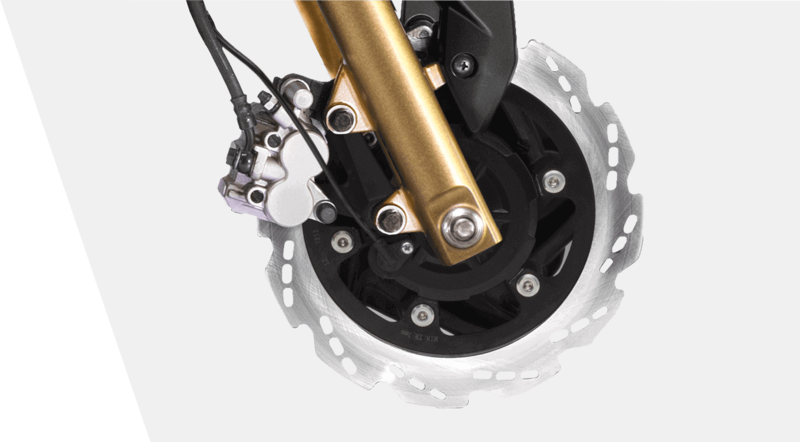 The disc brakes also Enhances heat dissipation with its special roto petal design. Remora tyres stick to the road with remora fish-like grip, resulting in improved acceleration and braking.